Fall in back in love with life in this gripping read about fate and second chances. The eagerly awaited new novel from the Sunday Times bestselling author. Thirty year old Izzy Sweetwell has a peaceful life. She lives in the sleepy village of Halfhidden with her aunt with her aunt Debo, who runs the local kennels, a home from home for waifs and strays in the area. 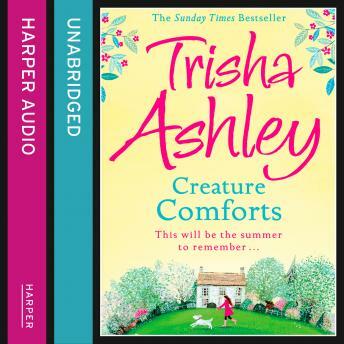 You couldn't say that Izzy's life is particularly exciting, but that's just how she likes it, she's bid farewell to a dramatic life since a terrible accident when she was a teenager and for now, she's perfectly content with her aunt and the dogs in Halfhidden. So what happens when someone forces Izzy to fall in love with life again? Will her painful past stand in the way of her future happiness? Can you make an omlette without breaking a few eggs?